Contact us to have a custom wine cellar built. We are located in Sarasota, Florida. Michael D Crowe is a licensed General Contractor in Florida, Georgia, and Massachusetts. When it comes to protecting your precious wine investment, be sure to hire a company that has extensive experience in all aspects of home construction. Also, be sure the company you hire understands and has experience in the construction of climate controlled wine cellars. 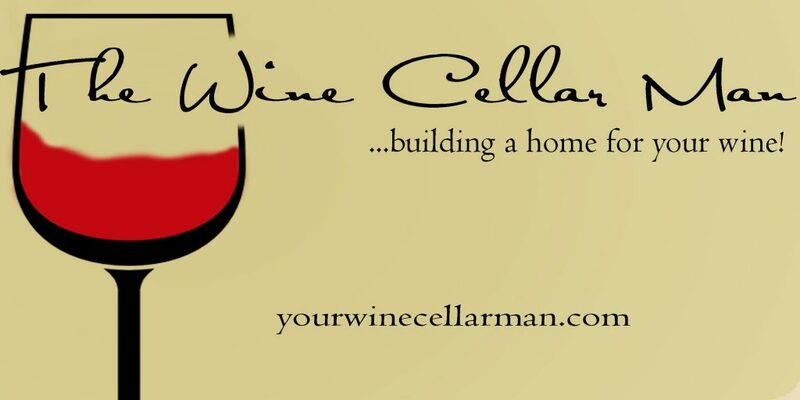 We are experienced custom wine cellar builders and Custom Home Builders. My name is Michael D Crowe, the “Wine Cellar Man”. 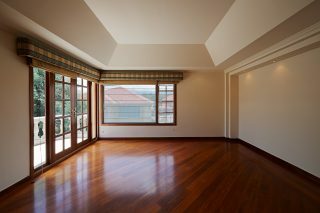 I have worked on every aspect of home construction and remodeling. As a Licensed General Contractor I have poured concrete, framed large complex structures, ran electrical wiring, installed plumbing systems, put the roofing on, installed the finish cabinetry, etc., etc. The list goes on. But I have found nothing more rewarding than building custom wine cellars. Call 941-404-1477 Today For An Estimate! 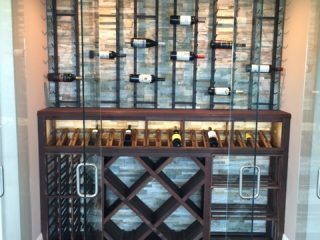 We can build your custom wine cellar in Sarasota, Lakewood Ranch, Bradenton, Siesta Key, Tampa, Ft Myers, Naples, Miami, Coconut Grove, and elsewhere in Florida. 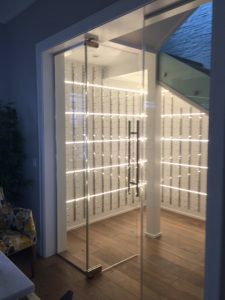 We can also build your custom wine cellar in Boston, Cape Cod, Duxbury, Barnstable, Osterville, and Chatham, Massachusetts. 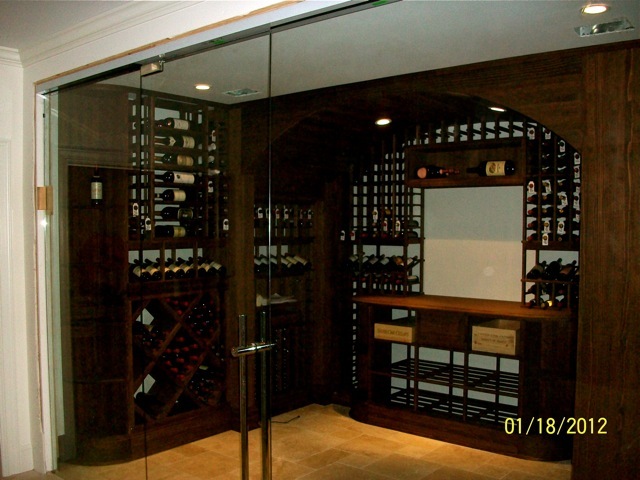 We can build your wine cellar anywhere in the US. We can build your custom home here in Sarasota, Florida. Whether you are located on Siesta Key or Concession or Lakewood Ranch, we can build your dream home. We also custom build homes in Massachusetts. We have built custom homes in Yarmouth and in Mashpee. We also work with architects in Sarasota and Naples, Florida and in Boston and Barnstable, Massachusetts. Since 1991 we have worked on hundreds of renovation/remodeling projects. We have remodeled projects in Osterville, Centerville, Barnstable, Orleans, Yarmouth, Dennis, Harwich, Falmouth, Pocasset, Newton, Boston, Weymouth, Middleborough, and Cambridge, Massachusetts. We have also remodeled projects in Bradenton, Sarasota, and Port Charlotte, Florida. We’ve had Mike do several jobs for us at our house and we were very happy with the quality and the craftsmanship. He’s done trim work, installed cabinets, baseboard, structural beams and interior antique barn doors. He was very fast and efficient but at the same time cleaned up after himself and always finished everything that he said he would do. Thank you for your work and we’ve already started another list of things we need done. Mike has helped us with several residential projects, and we hope to do more in the future. His portfolio not only speaks to the quality of his work, but also to the quality of his person. It was a pleasure to work with Michael from the design phase to the installation. We did not know where to start to build a wine cellar under our stairs and consulted our builder and Google. Michael’s design was perfect and the installation flawless. He is reliable, dependable, and very creative! And the finished product is beautiful! Thank you Michael! Awesome! I had some initial views about how the wine cellar should look but Michael went above and beyond what I had imagined and made it even better. Now comes the hard part, filling it with good wine! Thank you Michael! Very quick! I was afraid the construction work would take a long time and would just make the house a wreck. Michael let me know his schedule and plans and he stuck to them throughout the project, even finishing early! I found Michael on google and talked with him about designing our wine cellar in our new house. He coordinated with our builder to measure and design our contemporary wine room. He came up with a computer generated design and ordered the racks. He was patient with our installation date, due to delays, and completed the job as expected. He is very personable and trustworthy. As with any construction project planning ahead and having specific job requirements help in completing a project within the allotted time. With decades of general contracting experience under my belt I know how get a project completed on time. 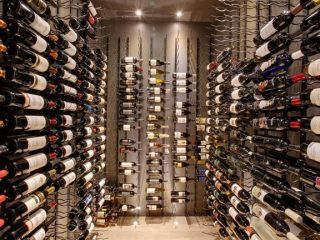 As a Licensed General Contractor I have Decades of Experience From Building Custom Homes to installing Custom Designed Climate Controlled Wine Cellars. Experience develops with time and work. Let my experience work for you. I understand that communication is critical. I make sure the client is well informed ahead of time and am always available to be contacted with any concerns. In 1996 I passed my contractor exam for the state of Massachusetts. In 2003 I received my state of Florida contracting license after passing one of the most rigorous and intensive exams in the country. In 2009 I received my Georgia contractor license after sitting for the newly instituted exam for Georgia builders. I have worked on every aspect of home construction and remodeling. I have poured concrete, framed large complex structures, ran electrical wiring, installed plumbing systems, put the roofing on, installed the finish cabinetry, etc., etc. The list goes on. 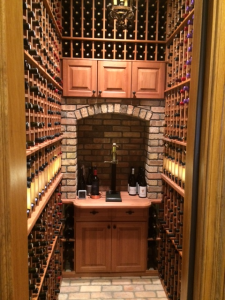 But I have found nothing more rewarding than building custom wine cellars.